The DeltaTRAK® digital thermometer is fast and dependable for scientific, avian, exotic, and lab animal use. Constant readout in Fahrenheit or centigrade and is accurate to +/- 1.0 degree F (0.5 C). Offers a wide temperature range of minus 40to 302 degrees F (minus 40 to 150 C). 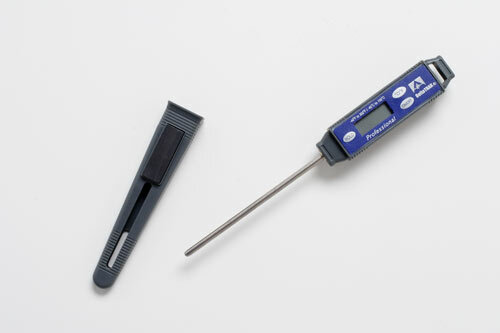 Monitors body temperature during surgery and is useful for measuring the temperature of hand-feeding formulas, particularly after microwaving.